We’ve been providing quality tubs, spas and accessories since 1981 and serving the Charlotte, NC area since 1988. That gives us a strong foundation on which to serve our community and we’ve got quite a record of doing so. If you come into our store you will see many photos on our walls of past happy customers. If you’re looking for a great value in a spa or tub, you’ve come to the right place. Feel free to browse the manufacturer’s websites whose products we provide or come by our location to experience it for yourself. 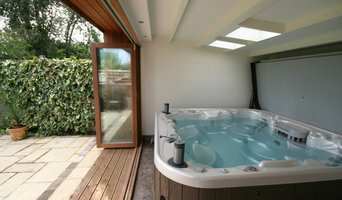 We’ll even let you try our spas in our showroom. Just give us a call to schedule an appointment and bring your trunks – Really! We pride ourselves on our service and knowledge of the products. Maintaining your spa can tricky for the uninitiated, but with the right tools and the right advice it is actually quite simple. If you have any questions about maintaining your spa, just ask. We’re here to help. 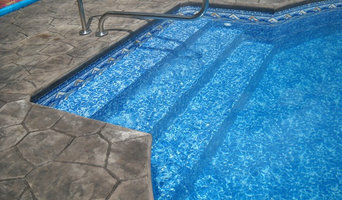 We Specialize in All Types of Swimming Pool & Spa Design, Construction, Service & Maintenance. Free Estimates Available! You can trust that we only offer the very best products and services because our team of pool experts have over 40 years of experience in the industry. Make sure that you have the right balance of chemicals in your pool or hot tub. We offer FREE in-store water testing when you purchase your chemicals with us. It’s important that you do some research before visiting a local Denver spa and hot tub dealer. While they can give you lots of information about features and financing, you should have an idea of where you would like to position your spa and what its main function will be. Do you plan to use it mostly for relaxation or socialization? How many people will be using it? All of these things will help the hot tub dealer pick the best models for you. Decide who will be responsible for daily maintenance in your household and if the extra energy costs are something you’re actually willing to incur. Also, know that most hot tub stores in Denver, NC let you do test soaks, also known as a “wet test”, where you can throw on your suit and take each model for a spin in the showroom so you know exactly how they feel before purchasing. Don’t be shy — just think of it as test driving a car! Find spa and hot tub dealers in Denver, NC on Houzz. Narrow your search in the Professionals section of the website to hot tub and spa dealers in Denver, NC. You may also look through photos to find hot tub designs you like, and ask about the details of the spa, including the manufacturer and where it was was purchased.